China forced dozens of airlines to remove their references to Taiwan as an independent nation earlier this year. United Airlines complied with the request, but recently made a small concession to recognise Taiwan. The airlines allowed customers to list their location as one that uses the Taiwanese currency, instead of listing Taiwan outright. Taiwan thanked United for the concession, but China is furious. United Airlines made a small concession to recognise Taiwan amid China’s ongoing attempts to wipe it off the map – and Beijing is furious. The airline recently enabled a functionality that allowed customers to list their location as one that uses the Taiwanese currency, the New Taiwan Dollar. While the tweak may seem insignificant, the gesture nods to Taiwan’s claim to be an independent nation, which is fiercely contested by mainland China, which says Taiwan belongs to it. The change, spotted by the South China Morning Post, cuts against recent efforts by the Chinese government to force airlines to remove all reference to “Taiwan” from their list of destinations, or to list it as part of China. This screenshot below shows what changing the location on the website looked like on Thursday when accessed from Taiwan. 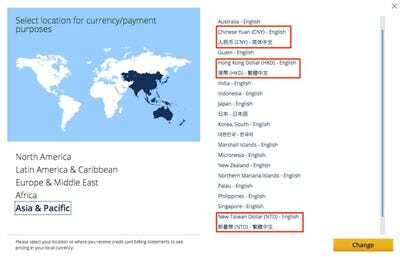 You can see that other locations, such as Australia and Japan, are not defined by their currencies. United Airlines; Business InsiderUnited Airlines ticket bookers in China, Hong Kong, and Taiwan are allowed to pick their locations by stating the currencies they use. It’s not entirely clear when and why the new option came into effect. Business Insider has contacted United for comment. Earlier this year United dropped all its references to Taiwan as a country after China’s civil aviation authority demanded 36 foreign airlines to remove references to Taiwan, Hong Kong, and Macau as countries on their websites and marketing materials. United Airlines typically describes destinations in its booking forms in the format of “Airport Name, City, Country,” or “City, Country.” It now refers to all destinations in Taiwan, Hong Kong, Macau, and China without amy country names. Those going anywhere else in the world, however, would be booking flights to and from “New York, NY, US,” “London, GB,” and “Tokyo, JP,” for example. Other airlines including American Airlines and Delta Airlines listed Taiwan, Hong Kong, and Macau in the same way. China has remained dissatisfied by the modifications, however. In July, the Civil Aviation Administration of China said that the airlines had “started to rectify” the issue but “rectification is still incomplete” because they still did not list Taiwan as a Chinese territory. Taiwan on Wednesday thanked United for its “flexibility” in side-stepping its promise to China. Li added that Beijing’s attempts to make airlines list Taiwanese territories as part of China was “dwarfing China” and “absolutely unacceptable,” the Post reported. China, on the other hand, is furious. Hua Chunying, a spokeswoman for China’s foreign ministry, told reporters on Thursday: “I just want to emphasise that there is only one China in the world, and Taiwan is a part of China. This is an objective reality, common knowledge, and a point internationally agreed upon. Any foreign company operating in China should comply to this. Ashley Pon/GettyTaiwanese President Tsai Ing-wen in Taipei in May 2016. She is staunchly pro-independence. 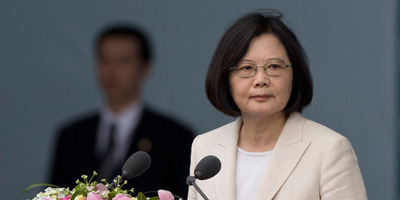 Beijing has ramped up its pressure on Taiwan since Tsai Ing-wen, a pro-independence politician, became president in 2016. Multiple countries have cut diplomatic ties with Taiwan over recent months. The latest break came last week when El Salvador broke diplomatic ties with Taiwan, leaving the island nation with just 17 allies left, all of which are relatively impotent on the world stage. Earlier this month a bakery-and-coffee chain received a barrage of attacks from Chinese citizens and media after photos showed President Tsai drinking coffee at one of its branches on a trip to Los Angeles. Multiple food delivery companies in mainland China removed the cafe’s products from their platforms and the share price of the cafe’s parent company plummeted in the wake of the photos. Both China and Taiwan have also been building up their respective militaries to brace themselves for a future fight.